A Glasgow dockyard worker has witnessed something unpleasant. Is this Alexander Davion? And an unpleasant ending for The Long Haul as Vic has to emote over his son (called Butch!) 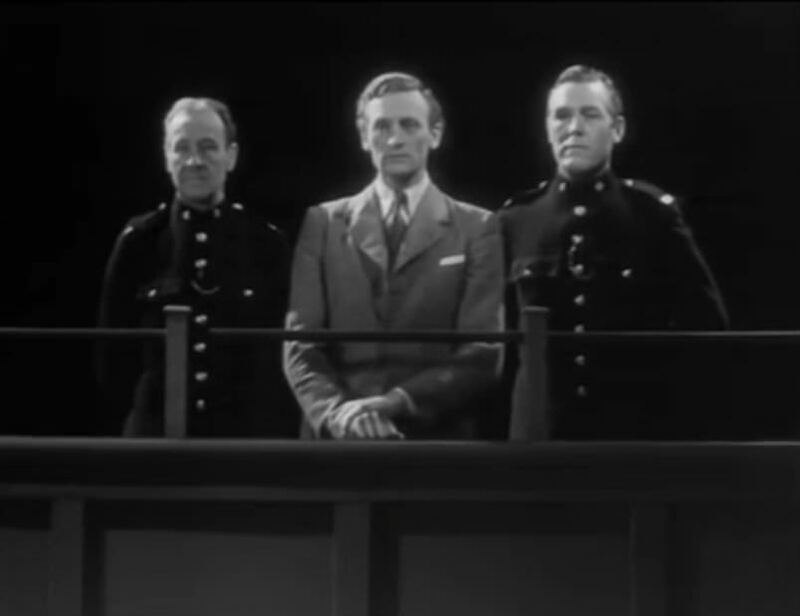 played by Michael Wade, with Doctor John Welsh and ambulance man John Timberlake. Including the hardly Scottish Madge Brindley! 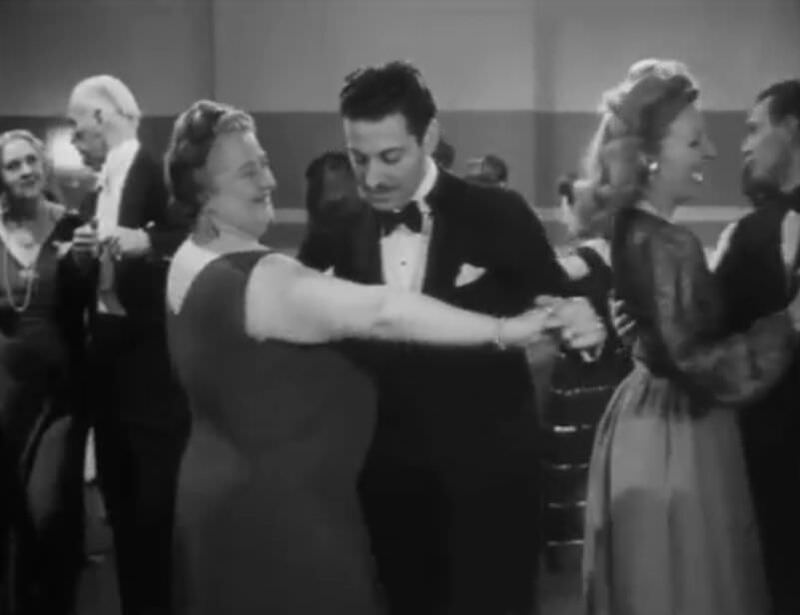 The very attentive Mrs. Armstrong (Madeleine Christie) on the right sits next to her. 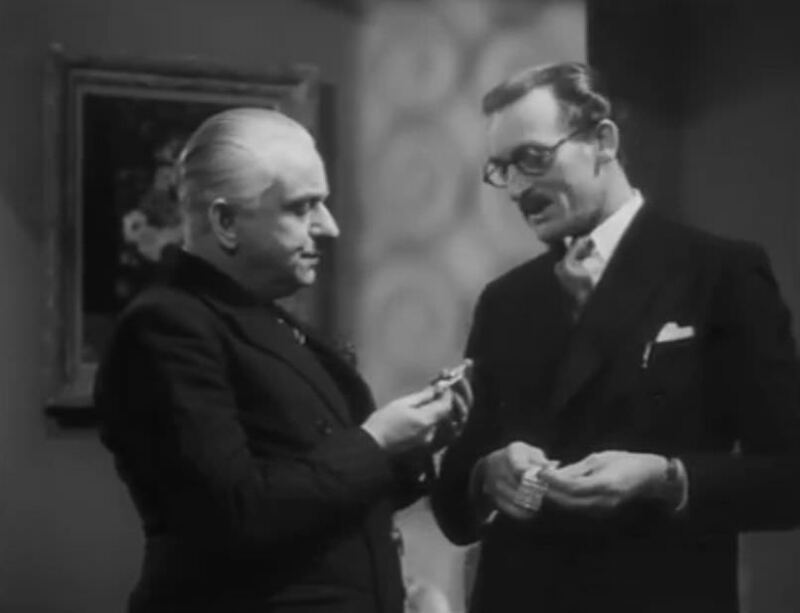 Fred Davis as a sniffy neighbour of downtrodden Charles Victor . . . until Charles appears to have a mistress! IMDb has Andreas Malandrinos in a "Minor Role", but it's so minor, he's not in the film! Last edited by Gerald Lovell; 12th November 2017, 07:57 PM. Great set of caps again Gerald for the Long Haul, I was thinking Peter Forbes Robertson for the Glasgow dockyard worker, Ken Lewington is sat opposite Jimmy Cains. Thanks as ever, philly, and yes, Peter Forbes-Robertson, who I should of course know. Fair enough. You make a good point. Here it comes....nearly there....Sorry. I'd like to see posts with the film title in them as well, and if possible identifications like "third from left" or "bloke in the appalling titfer" as sometimes I need to find another post that refers to one of the more obscure names. 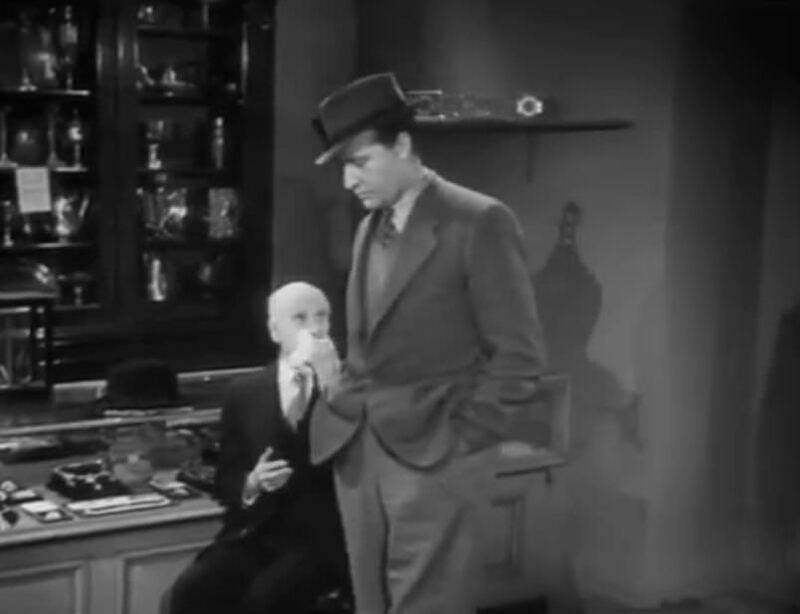 Gangway, it's Barry MacKay whispering to nabbed Nat Pendleton that the 1937 New York cop on the right appears to be Philip Stewart in another early appearance. Jessie Matthews is maybe not so sure. Nigel has caught the local ringleader Eric Pohlmann, but officer Robert Gregory clearly finds it all tongue-in-cheek. While in France, Nigel finds himself at a dress show with John Howard and, hopefully, Muriel Greenslade. The younger lady has Joan Benham's eyebrows. In the same costume, John also reappears as a Windsor Hotel guest. Meanwhile, Liz heads off to that Windsor Hotel where the waddle of waiters include Rex Garner and Guy De Monceau . . .
. . . Paul Phillips . . .
. . . and Louis Matto, who devilishly looks like he's going to pull that old chair-away-as-you-sit-down jape. And usually with a pipe, but only with his missus here, is Ernie Rice; Terence meanwhile wonders if his forbidden cargo has been noticed by anyone. The Dark Road (1948), like most early Hammers, is a cheap mess of a film. 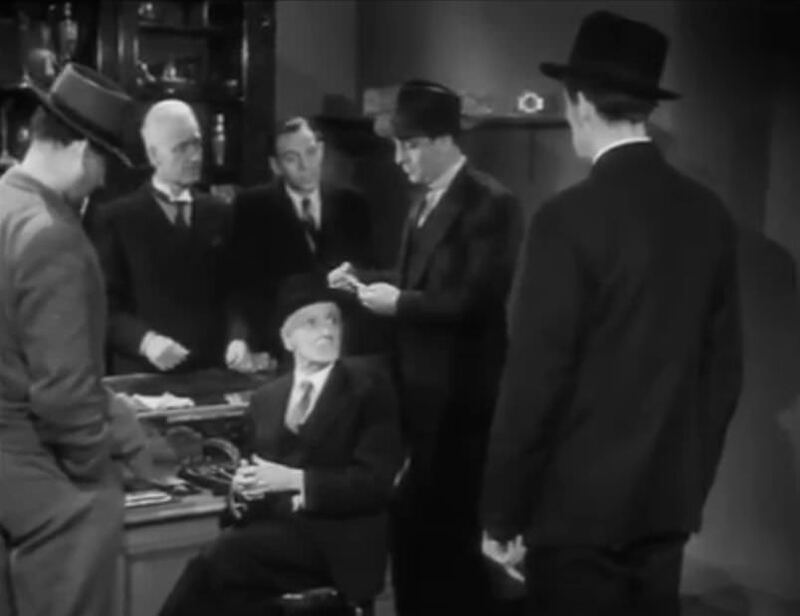 Really tough to figure out the cast here, so many unfamiliar names in the credits, but here's Joe Phelps as one of two bailiffs flanking the subject of the film, Sidney Robertson, played by Mr. I Have No Idea Who He Is. BFI and IMDb are definitely wrong in saying he's Charles Stuart, who actually plays Inspector Benson. And I think Lindsay Hooper here as a Dartmoor Prison trustee. 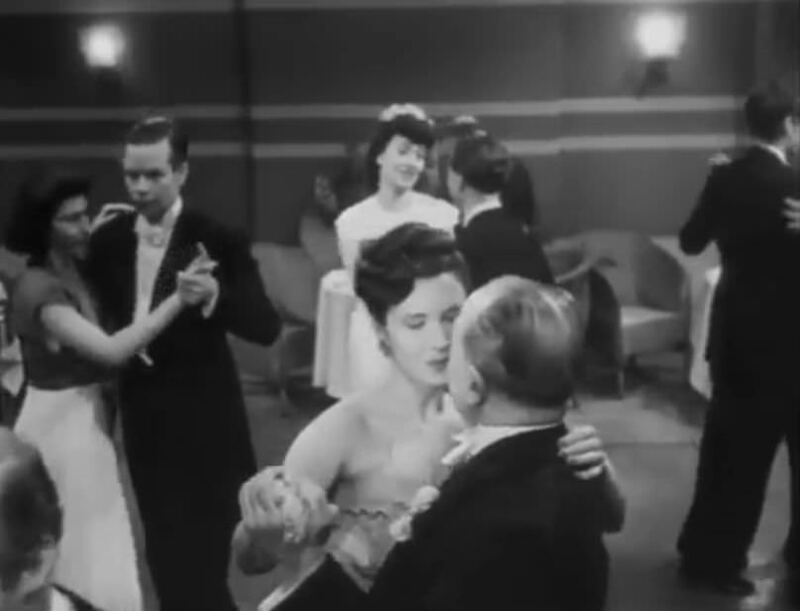 Possibly a very young Fred Davis on the dance floor? 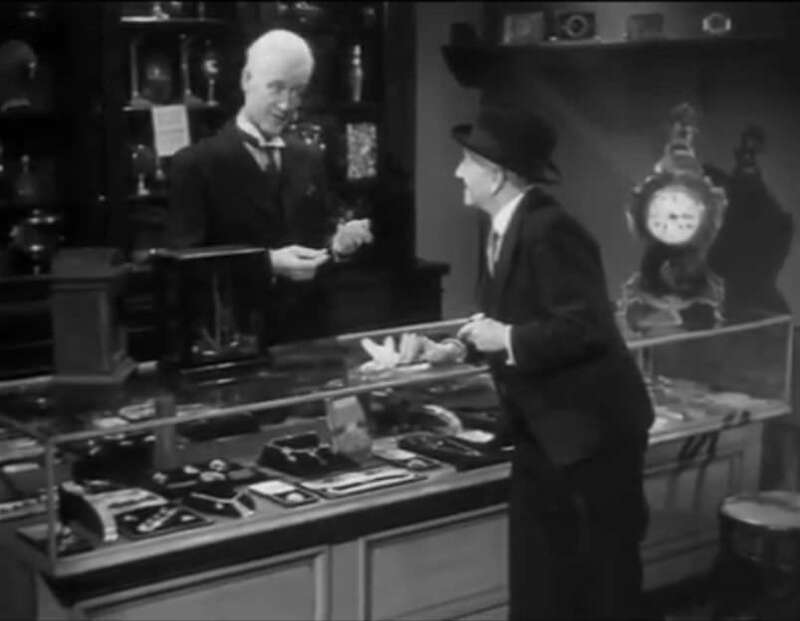 Howard Douglas pops up as a man buying stolen gems. Molly Hamley Clifford also gets to cut a rug. And naughty credited David Keir tries to sell some stolen jewelry to uncredited James Knight. Could the jeweler's assistant be a very young Guy Standeven? The detecitve left to guard Keir from his over-emoting I think is Robert Gregory. 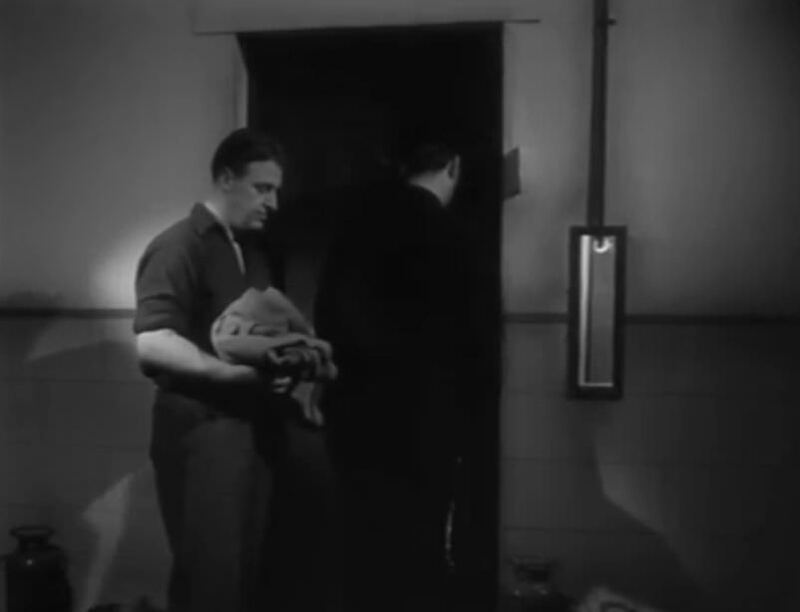 Apartment manager Hamilton Keene lets detective Frank Forsyth into the thieves' den, but they've already escaped. 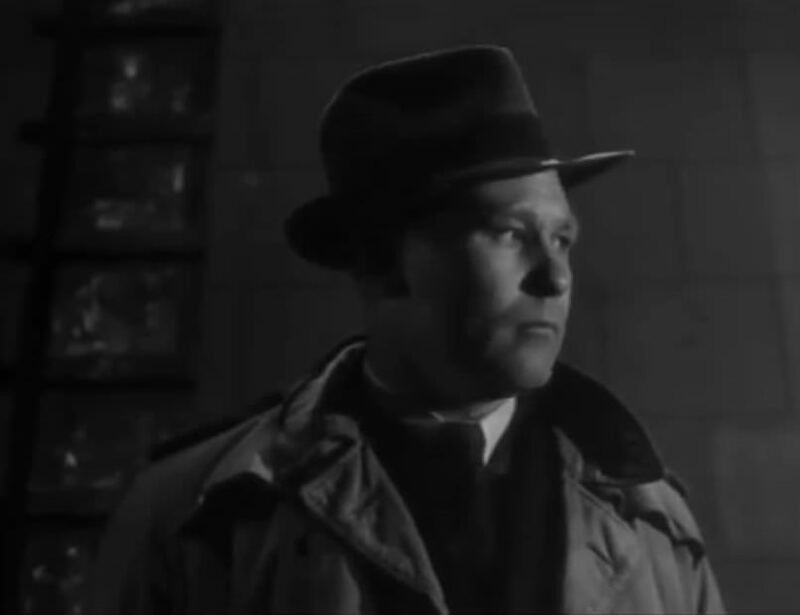 Bill Rayment gets a nice closeup as a somewhat oblivious detective. 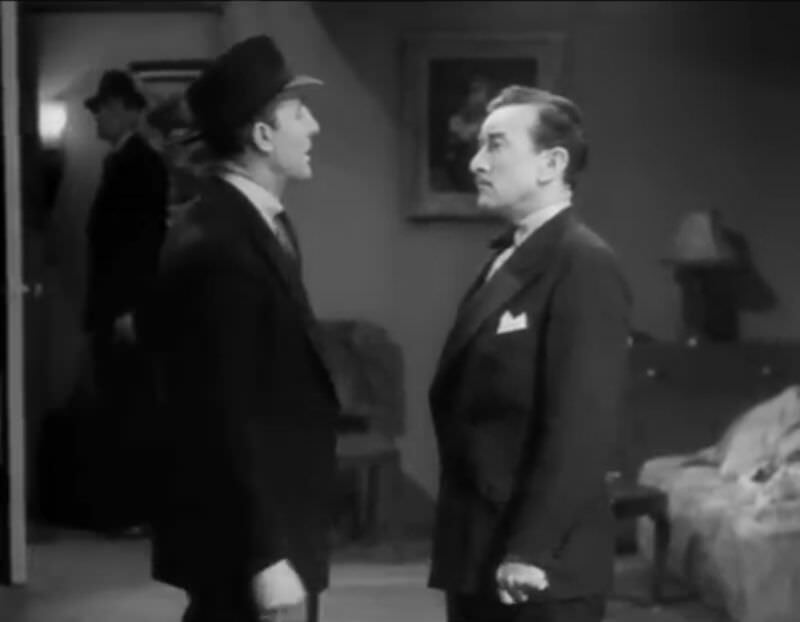 Gerald, your favorite Cyril Chamberlain appears here as an American newspaper editor whose accent sounds like he flunked his Bowery Boys tryout. I don't think that's Guy. In theory it could be though. He joined the army in 1946, the first film appearance we have for him is Secret People in 1952 but I don't think it looks like him.